Highlands Stud’s resident sire Jackson, whose first two-year-olds race this season, is from a red hot family. The triple G1 winning son of fellow Highlands sire Dynasty is from the same family as ill-fated Gone West sire Sail From Seattle, who enjoyed a remarkable season in 2016-2017. 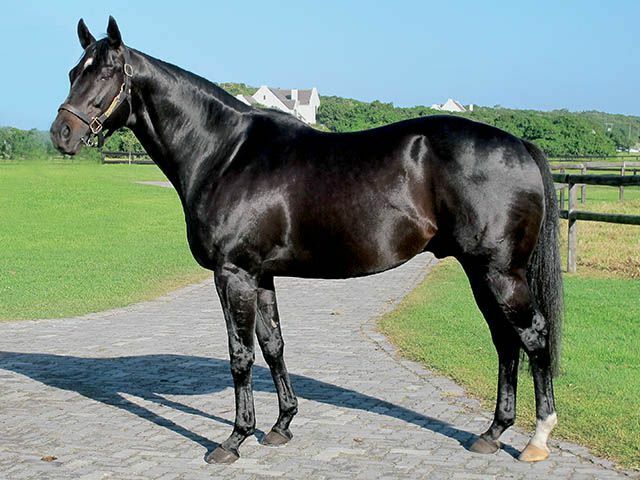 Sail From Seattle, who ended the season as South Africa’s second leading sire of 2yos by stakes, was represented by his third G1 winner when his tough as teak son Sail South landed the G1 World Sports Betting Champions Cup at Greyville on Saturday. Trained by Brett Crawford, who also trains/trained the sire’s G1 winners Elusive Gold and Gulf Storm, Sail South took his tally of wins to nine and prize money to over R1.4 million when downing a star studded field in the R1 000 000 Champions Cup. His sire Sail From Seattle was represented by no fewer than 23 juvenile winners last season, with his older runners including G3 Sycamore Sprint winner Seattle Singer. 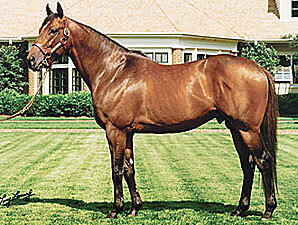 Sail From Seattle’s third dam is the great mare No Class, who is also the fourth dam of Jackson. No Class also features prominently in the pedigree of outstanding sire Smart Strike, who topped the US sires list twice. Now deceased, Smart Strike, whose offspring include 15 G1 winners , is enjoying another great year in 2017 with his3yos including the high-class 3yos Battle Of Midway(G3 Affirmed Stakes, 3rd Kentucky Derby) and Unchained Melody (G2 Mother Goose Stakes). Smart Strike sons Curlin and Lookin At Lucky are also enjoying big years in 2017, with Curlin’s runners including champion racemare Stellar Wind (a triple G1 winner in 2017) and G1 Belmont Stakes runner up Irish War Cry. Lookin At Lucky, whose son Accelerate recently downed world champion Arrogate when romping to a 8.5 length win in the G2 tvg San Diego Handicap, is sire of 2017 G1 Kentucky Derby runner up Lookin At Lee and recent G2 Monmouth Stakes winner Money Multiplier, as well as several G1 winners in Chile this year. Smart Strike has also made his presence felt in 2017 as a broodmare sire- he is damsire of recent Canadian classic winner Cool Catomine (winner of the Prince Of Wales Stakes) and US graded winners Cowboy Culture (G3 Arlington Classic) and Cambodia (G3 Gallorette Handicap). Potentially the next top sire to emerge from this great family, Jackson, whose victories included the G1 Investec Cape Derby, G1 Daily News 2000 and G1 Champions Cup, will be represented by nine lots at the 2017 National Two Year Old Sale (a sale he himself topped back in 2010! ).